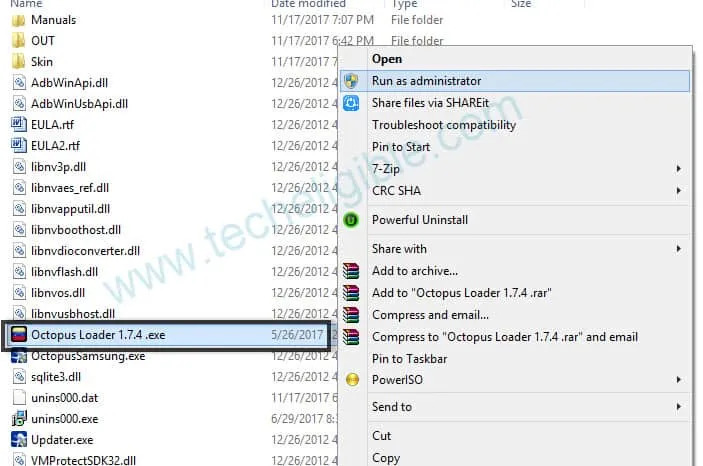 Download Octopus Software with loader tool now available in 1.7.4 , and Octopus 1.6.5, both software can be downloaded from below, to download older version 1.6.5 go down of this post. 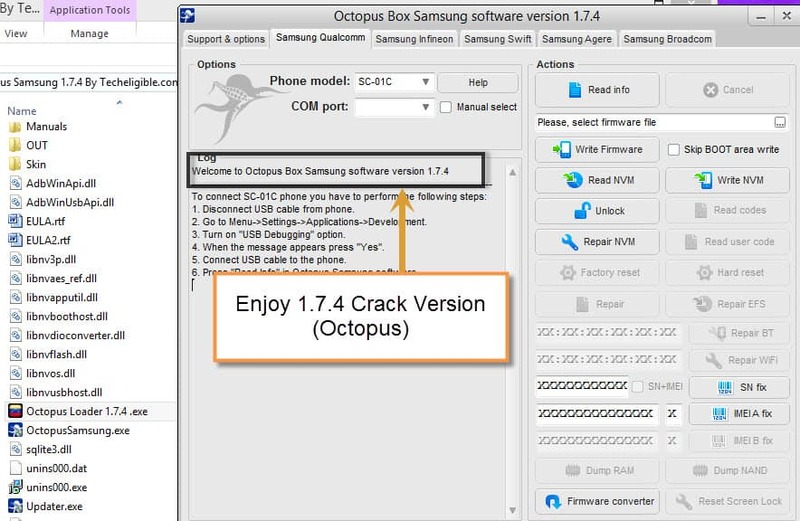 Octopus tool is helpful for Samsung device and can be fixed multiple issues from Samsung device such as, unlocking frp protection and bypass google verification from Samsung device, writing firmware, update firmware, flash Samsung devices, writing and reading NVM, so multiple task can be done from this helpful Octopus Software with loader. 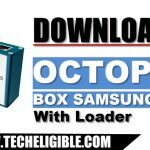 You have to download “Octopus Software” and “Samsung Drivers“, these all are important to run Octopus Software with loader, so download all below software from given links. -Extract “Samsung USB Driver & Samsung MCCI Driver” from winrar archive file. -Go to extracted folder, and install both drivers in your computer. -Turn off any “Active Antivirus Software” to avoid any type interruption while cracking software. Note: If you did not “Turnoff antivirus Software, it will surely remove “Octopus Loader 1.7.4.exe” file. -Extract Octopus Software in your (DESKTOP or Programs File). -Go extracted folder, and right click on “Octopus Loader 1.7.4.exe” file. -After that click on “Run as administrator”. -Now wait for few second, it will take time in starting. Congrats, you have successfully downloaded and installed and run “Octopus Crack 1.7.4″, now you can accomplish multiple task with octopus. Warning! Whenever you need to run octopus software, just turn off antivirus software, and then extract from archive and run as administrator. • Turn off your antivirus software. • Once downloading finish, extract both file from winrar archive. • Install “Octopus Software Setup”. 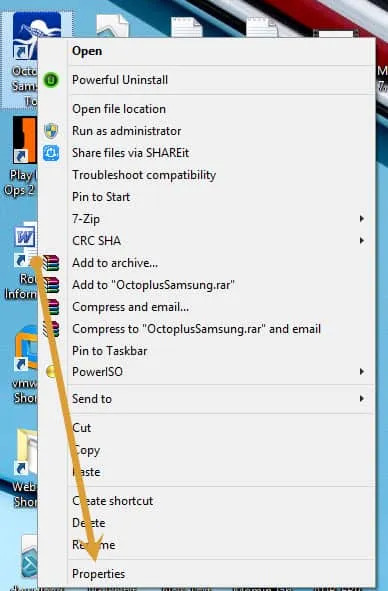 • Right click on “Octopus Logo” from desktop, and go to its properties and then “Open File Location / Find Target” this will take you to the installation folder of your octopus software (Usually Program File in C Drive). • Now copy “Load_OctoplusSamsung.exe”, and past it there in “Octopus Installation folder. • Now right click on “Load_OctoplusSamsung.exe” and click on “Run as administrator”. Thanks for visiting us, if you liked this post and octopus samsung tool, do share this post on your social network, and comment in below box. I am not found GT-I9301I. How i can find it? please crack octoplus huawei tool. you can find in z3x 29.5 version, and this version is available on our site. Admin can i have 2.4.7 versions of Octopus Samsung ? Trying to clear FRP on a Samsung A520F… which version should I use? trying to repair IMEI SM-N910L, wich version can do this? i see many versions only have SM-N900x models. The only reason to make this software available for free is to break into someone’s PC… shame on you… low life!!!!!!!!!!! What are you doing through the virus???!!! Bitcoin mining?? Frp lock. Trying to unlock/bypass but couldn’t so help. Samsun S5 galaxy lock with Samsung account.